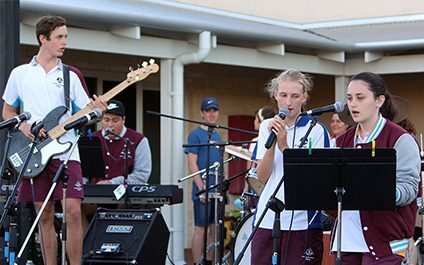 This long weekend, our Music students in Years 9-12 are stepping onto the stage at local festivals in Busselton and Dunsborough, gaining performance experience and sharing their talents with the wider community. The Family Fun Day at this year’s Busselton Fringe Festival is on Saturday 2 March, and students from the College will be performing in the ArtGeo Courtyard all day between 11am and 5pm. 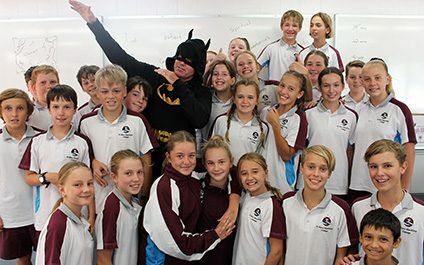 Year 7 and 8 students participated in a Middle School Retreat in the College Gymnasium on Friday 22 February. The theme for Retreat was: ‘The Hero Within’. 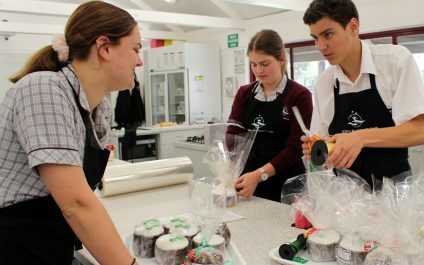 Year 8 students are embarking on their Christian Service challenge for the year to be Service Heroes in their homes – taking on the challenge of Mary MacKillop to “never see a need without doing something about it. We welcome several new staff across the College this year. 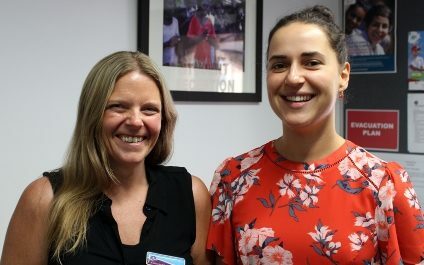 Jo Hart, who has been working with our Learning Support Team in K-4 since last year, joins our Leadership team this year as Early Years Coordinator. Together with her extensive experience in Learning Support, Jo has an extensive specialist background in Early Childhood Education, and is currently the Principal Consultant in Early Years Education for the Schools Curriculum and Standards Authority (SCASA). 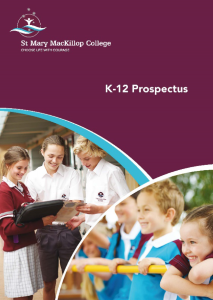 She is passionate about driving student improvement through the professional development of teachers, particularly in Early Years Mathematics. 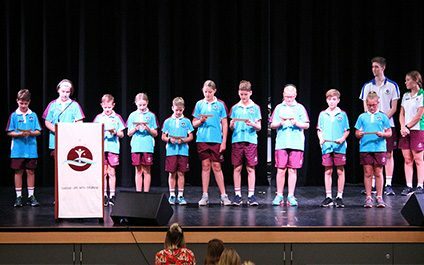 The first Friday of 2019 kicked off with a whole school assembly in the gymnasium, where the new Year 6 Primary Leaders were introduced and presented with their badges. Led by Audrey McSevich and Noah Blackford, the Primary House Leaders recited their pledge as role models to offer their talents and time to the life and vitality of the College community and commit to building relationships that reflect the values of the College. 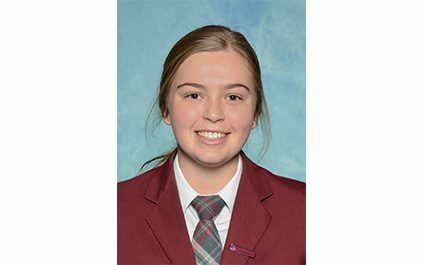 2018 graduates from St Mary MacKillop College once again produced some excellent results, with a 98% VET Achievement and eight students obtaining an ATAR over 92. 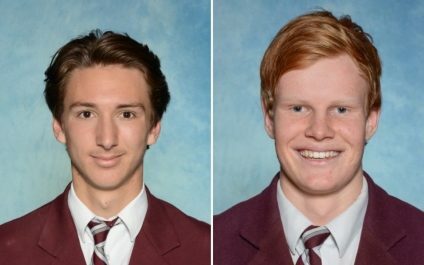 Of our ATAR students, 92% received an offer from a public university, with a further nine students also receiving early offers from the University of Notre Dame. 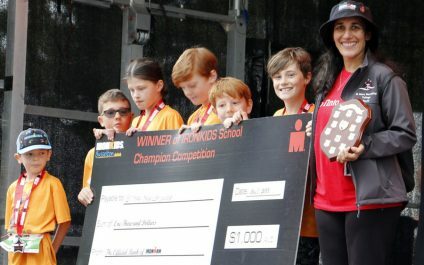 College staff member, Mrs Vanessa Philp, who was also volunteering at the event, accepted the trophy and cheque for $1,000 on behalf of the College. 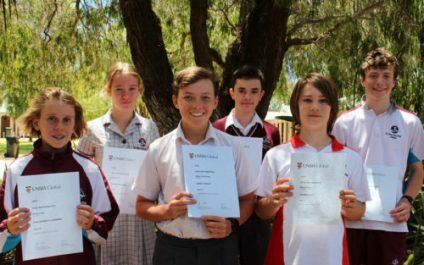 Congratulations to all of our high achieving Mathematics students who participated in what is a very high standard of national competition. 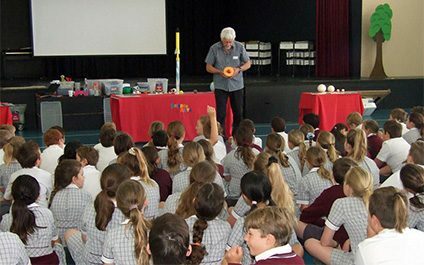 Students from Kindy to Year 6 were highly entertained recently, when Mick Doyle from Science Alive spent two days with the College to share his passion for all things Science. Years 4-6 enjoyed an overview of Earth and Space Sciences, as they learned about our earth’s ever-changing landscape, and how shifting tectonic plates cause earthquakes and tsunamis.